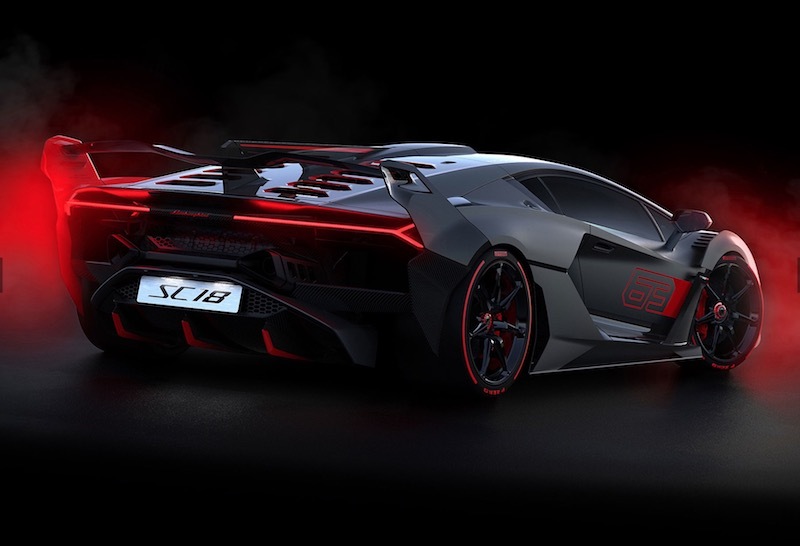 Behold: the Lamborghini SC18 Alston – a one-off, commissioned by a private customer from the maker’s racing division, Squadra Corse. 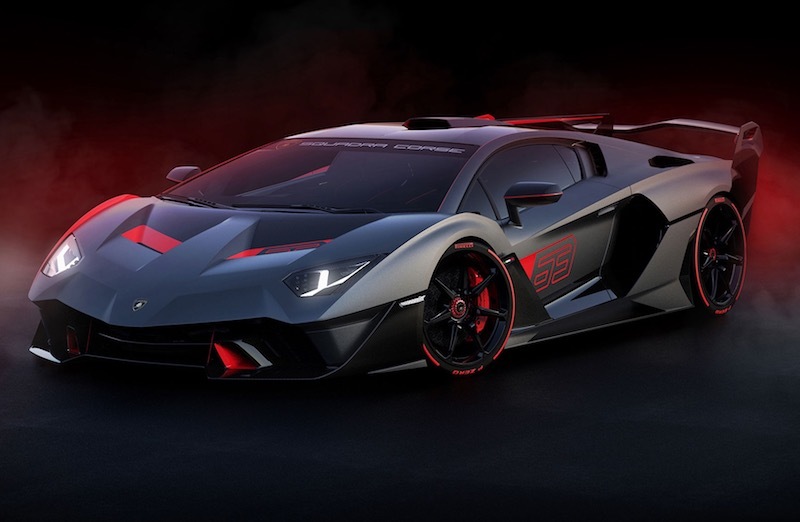 Based on the Aventador but combining aerodynamic elements from various versions of the Huracán, this is a 759 horsepower 6.5-litre V12 road-legal track machine riding on 21 inch rears and 20 inch front wheels with a stitched black and red leather interior by Lamborghini’s Centro Stile. 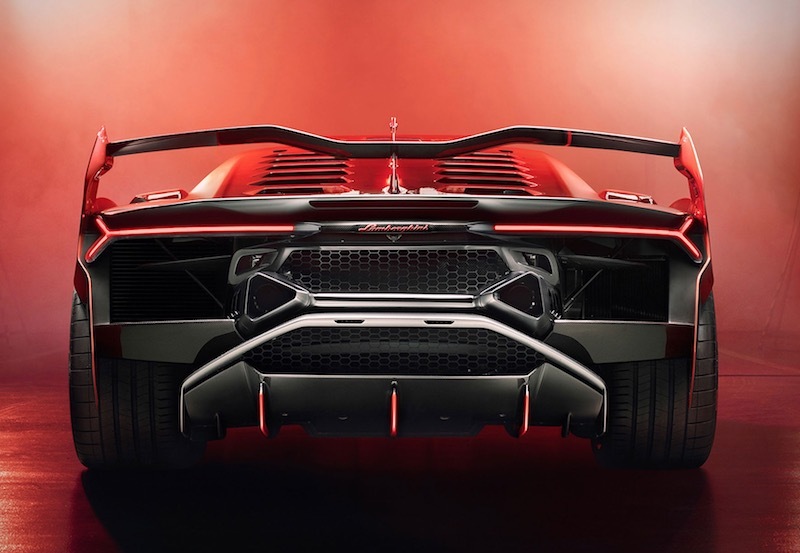 Posted in Design and tagged commission, Lamborghini SC18 Alston at 3:06 pm on November 21, 2018 by Chompsky. If the A-Team went fast. Y’know, it’s subjectively impressive with those acres of carbon fibre but it looks like a Cylon’s mickey and – alongside cocaine – is God’s way of semaphoring that the owner has too much money and an imperial ganseyload of hubris. it’s conor mcgregor’s car then, isn’t it? Neil thank you for the “Cylon’s mickey” comment it made me laugh. Thank you.